Mary Beth has been active in ASQ for over 25 years. 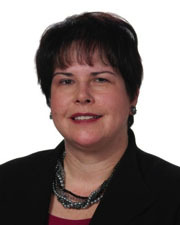 She joined the Six Sigma Forum Advisory Council in 2012 and is currently the voice of the customer chair elect. She is the first chair for the new certified Master Black Belt exam as well as arrangements chair and membership chair for the ASQ Automotive Division and was recently named ASQ Fellow. Soloy received a bachelor’s degree in industrial engineering and operations research from the University Michigan in Ann Arbor, and an MBA in international marketing from John Carroll University in University Heights, OH. Her professional career includes positions in manufacturing, engineering, reliability and quality at General Motors Corporation and Ford Motor Company. She is an ASQ-certified quality engineer, reliability engineer, Six Sigma Black Belt and certified Master Black Belt. Soloy was the first Six Sigma Corporate Master Black Belt for Ford Motor Company in Dearborn, MI, where she was responsible for the selection, communication, training and continuing education for over 400 Master Black Belts. In her current position as a quality functional lead, she is responsible for the quality and productivity improvement plan for global product development.